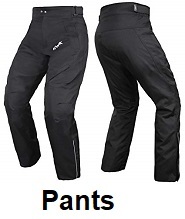 Huge sale on motorcycle gear, save on motorcycle helmets, jackets, vests, gloves, chaps, pants, boots. 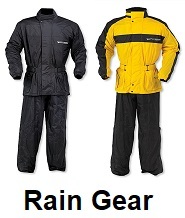 Low prices, Motorcycle gear Superstore. When purchasing motorcycle protective gear, riders need to determine which type of motorcycle gear they need. Most state laws require the use of some sort of helmet when riding a motorcycle. But what other gear should riders wear, that depends on the type of bike you are riding. 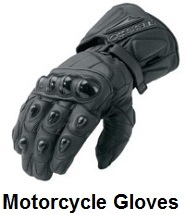 we offer every type of motorcycle gear needed for riding. The importance of wearing protective gear while riding motorcycles cannot be stressed enough. Not only does the proper equipment protect the rider from abrasions and punctures in an accident, but it can also keep the wind and road debris from hitting riders as they travel down the road. How to select the right gear for riding motorcycles. The number one consideration when selecting gear, is what type of riding you will be doing and what level of protection you are seeking. Most cruiser riders will wear half helmets. most street bikers will wear full face helmets and most motocross riders will wear helmets that are designed for motocross riders. 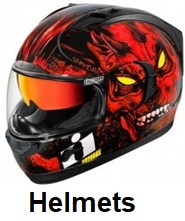 When selecting motorcycle helmets, it is important to select a helmet that suits its need. When selecting motorcycle jackets, vests, gloves, pants or boots, the type of riding you are doing, should be the number one consideration. 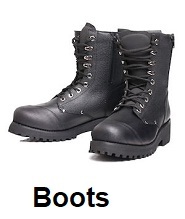 Most cruiser riders will want jackets, vests, gloves, pants or boots that are made from leather. Street bike or motocross riders will want jackets, vests, gloves, pants or boots that are made from textile materials that can be washed. 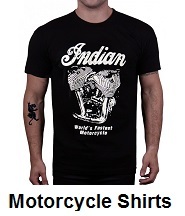 Motorcycle gear, apparel, accessories and clothing. 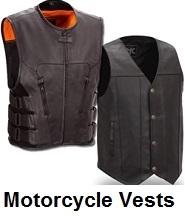 Shop for motorcycle helmets, biker helmets, motorcycle jackets, vest, gloves, chaps and boots. 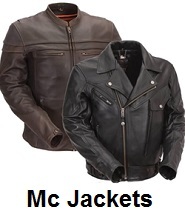 Shop for men's and women's leather motorcycle jackets, vest, gloves, leather chaps, boots and motorcycle helmets. All our gear for riding motorcycles, comes with a 30 day unconditional return policy. 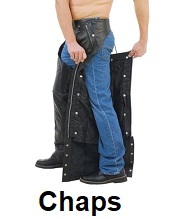 Just return any motorcycle gear within 30 days and we will grant a full refund. 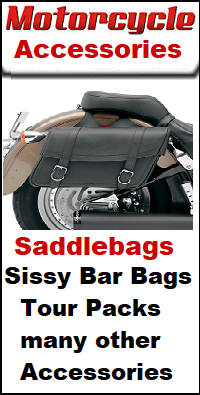 Thank you for shopping with us, we appreciate your purchase of all riding gear for motorcycles.